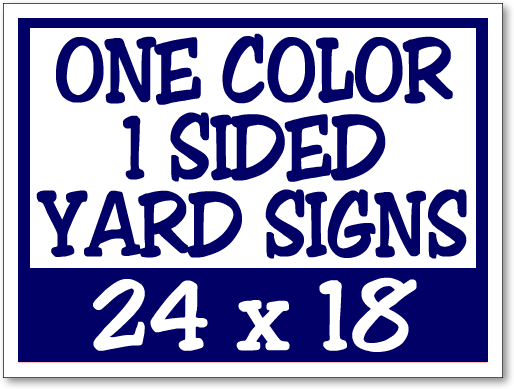 Wholesalers upload your custom one color one sided yard sign design. One color imprint on white or yellow corrugated plastic. 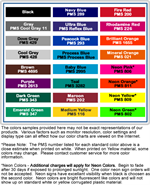 Choose from our standard screen printing colors or for and additional fee we can match your Pantone Colors. These Custom Yard Signs are 24 inches Wide X 18 inches Tall - Made from long lasting, weather-proof 4-mil corrugated plastic. Corrugated plastic yard signs are lightweight yet extremely durable. 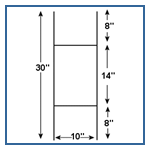 Fluting creates a yard sign that is exceptionally sturdy as well. Send us your yard sign design and we will print it for you. *Neon Colors - Begin to fade after 30 days if exposed to prolonged sunlight. One color neon yard sign orders will not be accepted. Neon yard signs have excellent visibility when black is chosen as the second color. 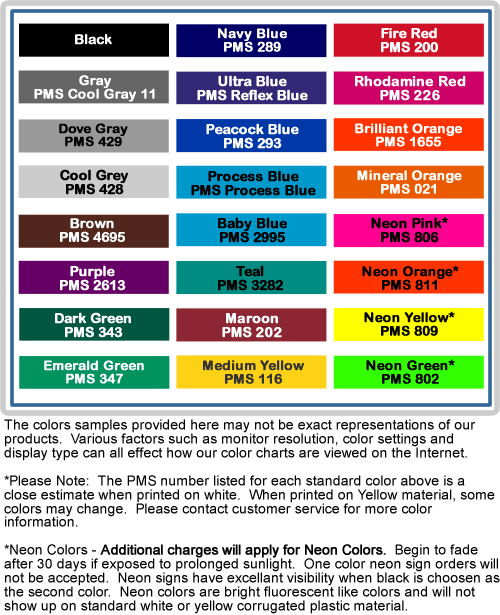 Neon colors are bright fluorescent like colors and will not show up on standard white corrugated plastic material. Not to be used on yellow corrugated plastic. Metal Grommets - Metal Grommets are available. Call for pricing on signs with grommets. Imprint - Bleed not allowed. No closer then 3/4'' from all edges. 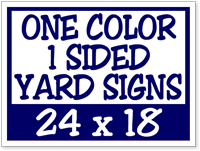 If you are purchasing two sided yard signs - pricing is based on the same imprint on both sides of sign. Production Time - Approximately 3-5 business days after proof approval. Rush service available call for details.